As a commercial property owner or manager in the Northeast, you not only have to contend with wear and damage done to your roof by rain, wind and sun, you also have to factor in the effects of frozen precipitation like snow, sleet and ice. If you don’t have a strategy in place for snow management, your building is at risk of serious leaks and water damage, or a partial or complete roof failure and collapse. In New York, commercial roofs are engineered to safely withstand a specific snow load. To prevent structural damage or a roof collapse, ask for your roofing contractor’s help to determine your roof’s weight tolerance, and how much snow can safely accumulate before it should be removed. 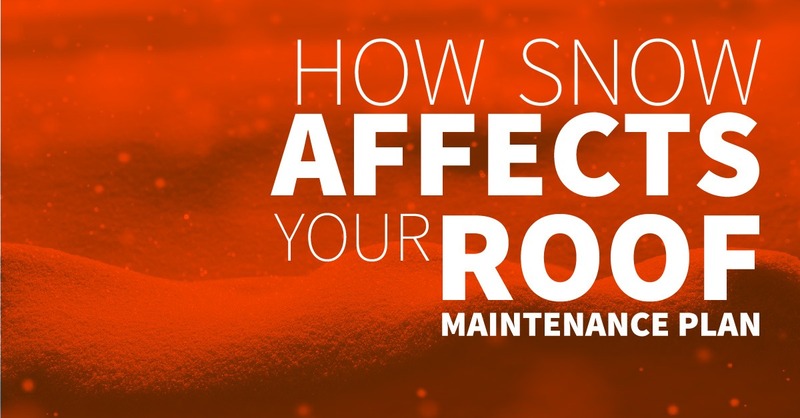 Then, when there’s any significant snowfall, have your maintenance staff measure the approximate depth that gets deposited on your roof. Fluctuating temperatures can create drainage issues if the runoff from melting snow or a wintertime rain can’t reach your rooftop drains, or if the drains are blocked by ice or debris. On any mild days, monitor the drainage situation and stay alert for backups or pooling water on the roof field. While it’s vital to monitor the rooftop, it’s also important to do regular checks around the building’s interior for leaks and/or structural distress. Every employee should stay alert for puddled or dripping water and water stains on the exterior walls and ceilings. Other concerning issues are doors and windows that don’t open or close properly, sagging ceiling sprinkler heads, or odd cracking, groaning or popping noises. Serious problems can arise quickly due to storms and changing weather conditions, so you need to prearrange for emergency service with your roofing contractor. When you call, they can send a crew out promptly to resolve ice dams, blocked drains or interior leaks, or safely clear excess snow off your building’s roof. To learn more about the importance of factoring snow into winter roof maintenance plans here in the Northeast, or to arrange expert snow removal service for the roof on your Yonkers commercial building, contact us today at Vanguard Roofing.